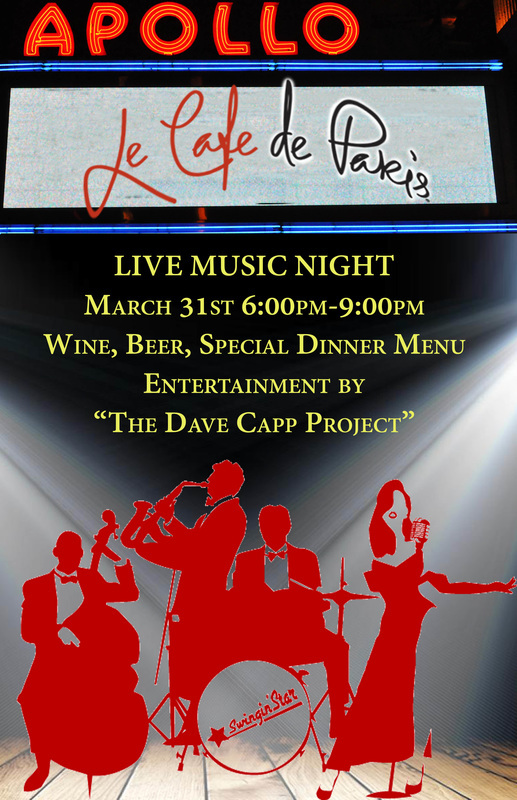 Le Cafe de Paris will host another wine tasting March 17th, from 6:00pm-9pm. Tickets are $30.00 each and include 6 different wine tastes and a small cheese plate. Come out for a night of fun! Join us March 31st for a fun night of Live Music. This is a free event. Beer, Wine, our full menu and some select special dinner options.